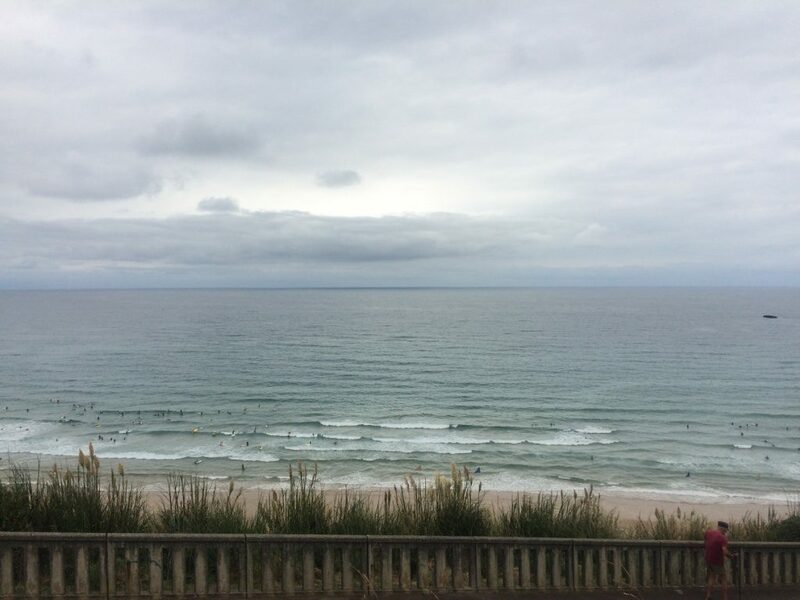 Just a hop, skip and jump from the UK on the Eurotunnel or the ferries, you don’t have to head far to find fabulous beaches. From the Côte D’Azur to Brittany, France has a fantastic array of beaches for families, dog walkers, divers, surfers, naturists and happy HomeCampers! One of the best beaches for wind sport fanatics is a sandy spit that runs 4km from Hyères out to the pretty town of Giens. There is a superb consistent wind on one side, while the other is sheltered by the Porquerolles and Port-Cros islands. One area is specifically reserved for windsurfers, kitesurfers and funboarders. Calmer areas of the beach are also ideal for paddleboarders and kayakers. Or if you just want to take in the scenery, behind the beach is a salt marsh where can see the pink flamingos nest. Spanning 3km, this is the longest beach in Saint-Malo and is actually made up of 3 different sections: la Grande Plage, la plage de la Hoguette and la plage de Rochebonne. The beach is ideal for wind-surfing and other activities and the ancient dyke which follows the Grande Plage is a lovely spot to stroll along and admire beautiful 19th-century villas. 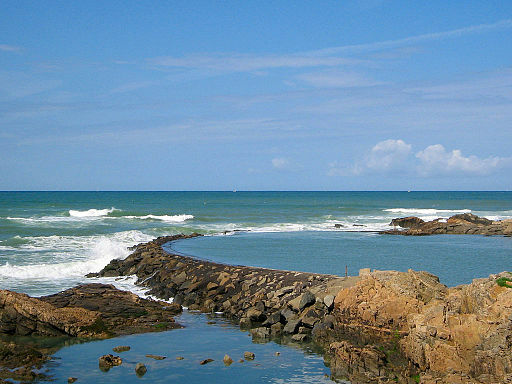 Biarritz has long been known as a surfers mecca due to the large rolling waves. It is even the European home to the global surf brand Quiksilver not to mention numerous international surfing events. But this long sandy beach is popular with families and surfers alike. Framed by rocky cliffs and with views of the Spanish coast and you can take surfing lessons but be careful the sea can be treacherous: the access is rendered difficult at high tide so swimming is forbidden during those times. Join the jet set on La Paloma. This chic spot is a great place for celeb spotting, many of whom arrive on superyachts in the bay. Despite the celebs France is democratic place, and half of the beach is public – reserved for non-millionaires so there is no need to miss out! A lovely coastal path runs from Beaulieu-sur-Mer, past the former house of David Niven, all the way to Paloma Plage. This famous golden sand beach in Pas-de-Calais is over 12km-long! Due to the size of this sprawling beach, you’ll find plenty of activities to suit all ages, from sand yacht racing to child-friendly beach clubs. The beach is west-facing and is the perfect spot to watch the sun set. South of the Ile d’Oleron, the gloriously unspoilt Côte Sauvage is hemmed in by the towering pines of the Forêt de la Coubre. It’s accessible by a 10-minute hike (or bike ride – for those on two wheels). After a walk up the dunes and through the coarse beach grass, the reward is 30km of unadulterated white sand and Atlantic rollers. There’s not a beach umbrella or souvenir shop in sight. Tucked up against the Pyrenees, the Languedoc’s Mediterranean beaches are truly something to behold. Here at HomeCamper HQ we love Argelès-Plage, a 8km stretch of golden sand and clear blue waters that is rarely crowded. The French have been coming here for years, and for good reason! It’s well maintained with great on-site facilities such as a marina and a beach club for kids. Wild and uninhabited, L’Ile de Riou is accessible only by boat but well worth the trip. Its small beach was used some 2,500 years ago by the founders of Phocea, the town that evolved into what we now call Marseille. Now the beach is the starting point for many scuba expeditions around the archipelago, and forms the heart of the Parc National des Calanques, established in 2012 an undersea forest ideal for swimmers, snorkellers and scuba divers. Being a top dog friendly destination and a nation of dog lovers there is no need to leave your four legged friend at home! In France there are some beaches that simply don’t allow dogs at all, and others that are only accessible at certain times of the day. Make sure you keep your dog on a lead, as for many dog friendly beaches, this is mandatory. 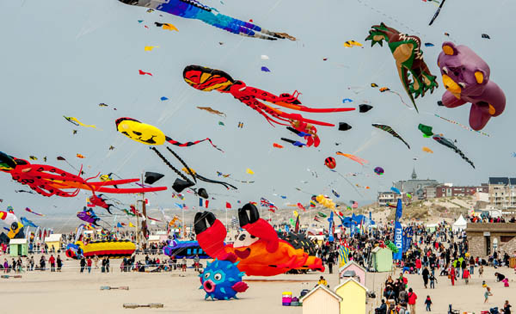 Only 58 minutes from Calais try the gorgeous Berck-sur-Mer this fabulous large sandy beach that is home to a famous kite festival has plenty of space to stretch your paws! 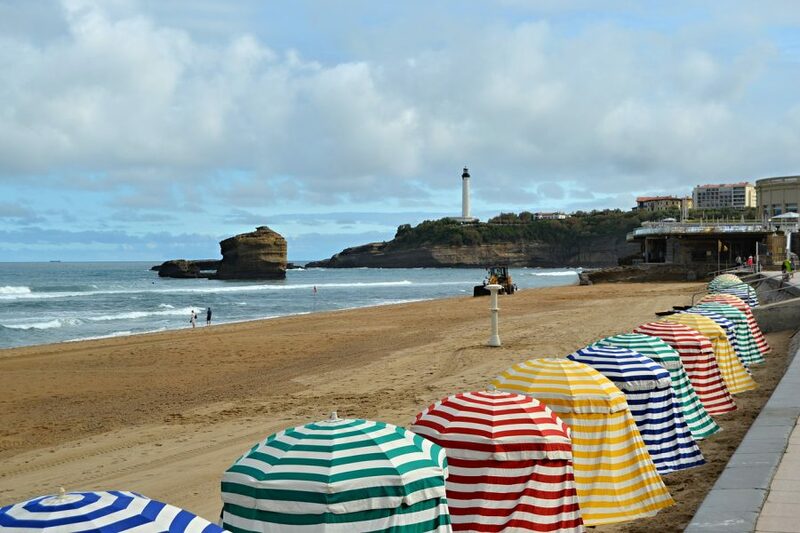 Backed by pine woods and largely untouched by mass tourism, the gorgeous golden sands of the Côte d’Argent are a haven for back-to-nature beach lovers. The coast is also home to some of Europe’s best naturist resorts; a collection of laid-back villages where European families unwind – and go home with the perfect suntan. The stretch of beach at Euronat, with supervised swimming, beach cafes and uncrowded sands is a must see destination. How to discover and visit the hidden treasures of the French heritage? Larking about in the Loire! HomeCamper.com is a sharing platform connecting hosts who have outdoor space available for travelers to stay and experience. With HomeCamper.com, discover amazing and unique campsites across Europe. Simplicity, conviviality, in security.